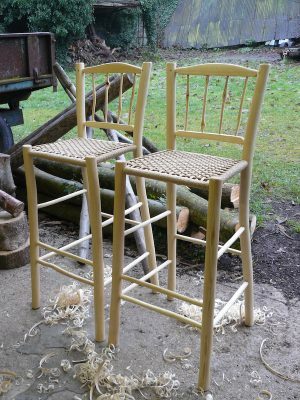 The stools are handcrafted from cleft green ash wood using the same traditional techniques, processes and hand tools as used in my chair-making. A variety of stool types are available e.g. bar stools, footstools, perching stools and double-size footstools with an underside magazine shelf which are ideal for sharing with a loved one. 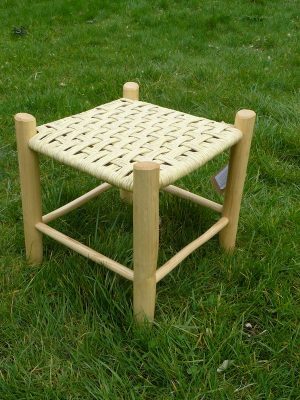 Stool tops are woven in traditional or more contemporary designs using a range of materials including, Danish cord, paper rush, sisal, kambaa or elm bark.